2 GUNS (2013): Denzel Washington & Mark Wahlberg Star In Fun Buddy Cop Movie. 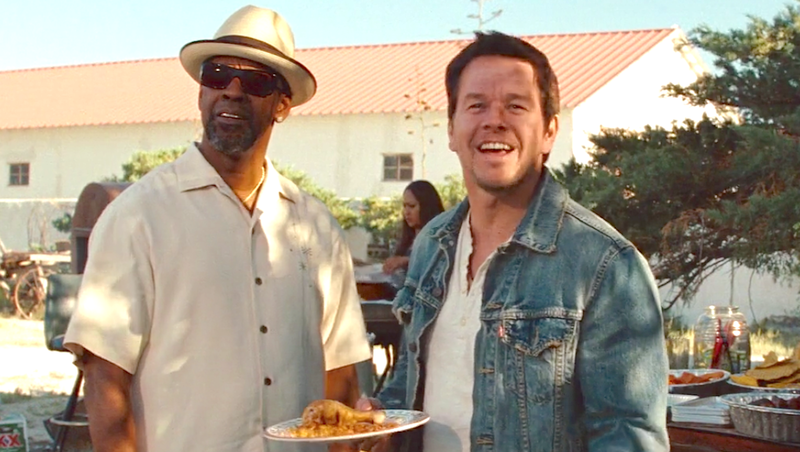 The chemistry between Mark Wahlberg and Denzel Washington is the reason why 2 Guns is quite the thrill ride. Directed by Baltasar Kormákur, you’ll enjoy the the action, humour, the buddy cop dynamic and Bill Paxton’s intense and terrifying turn as Earl. Edward James Olmos, James Marsden, Robert John Burke and Paula Patton also star. A very memorable moment is when Wahlberg’s character reveals who one of the bad guys reminds him of. I heard the words as I watched movie in the cinema/ theatre. The observation is so correct and well delivered that it stayed in my mind for the rest of the movie.